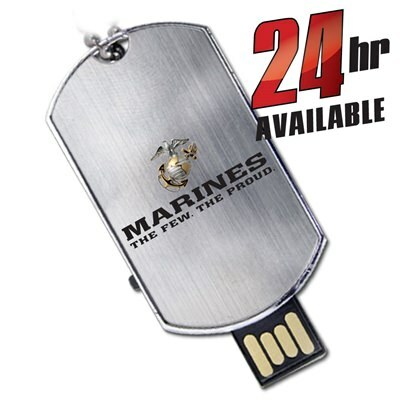 Military dog tag styled flash drives are a great way to recognize those who have served in the armed forces. 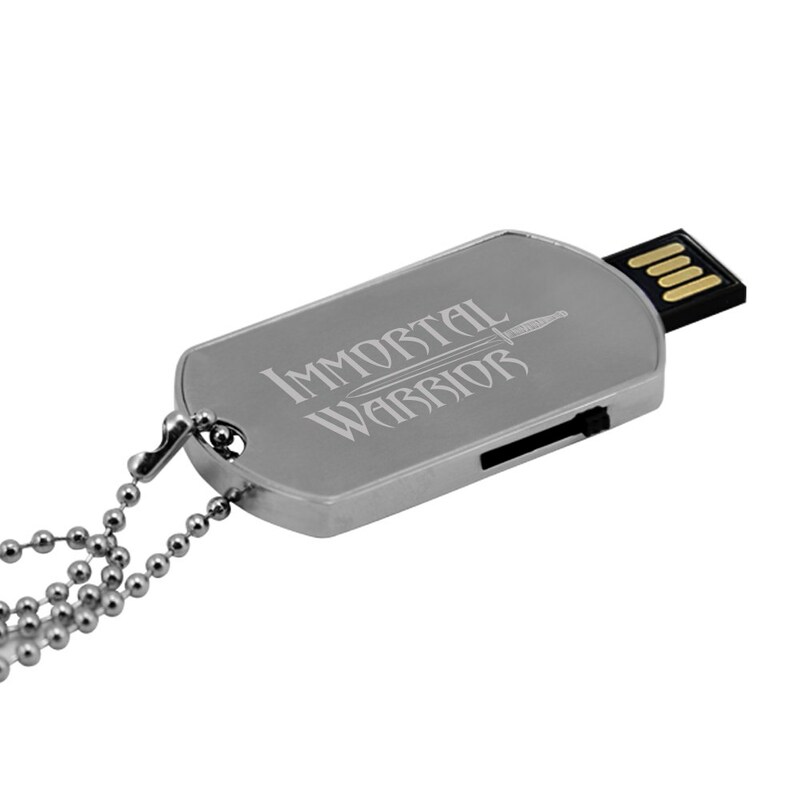 The dog tag shaped flash drives are made from real metal and the drives can be worn around the neck - just like real military dog tags! The USB connector comes out of the metal case with the help of a slider subtly placed along the side. 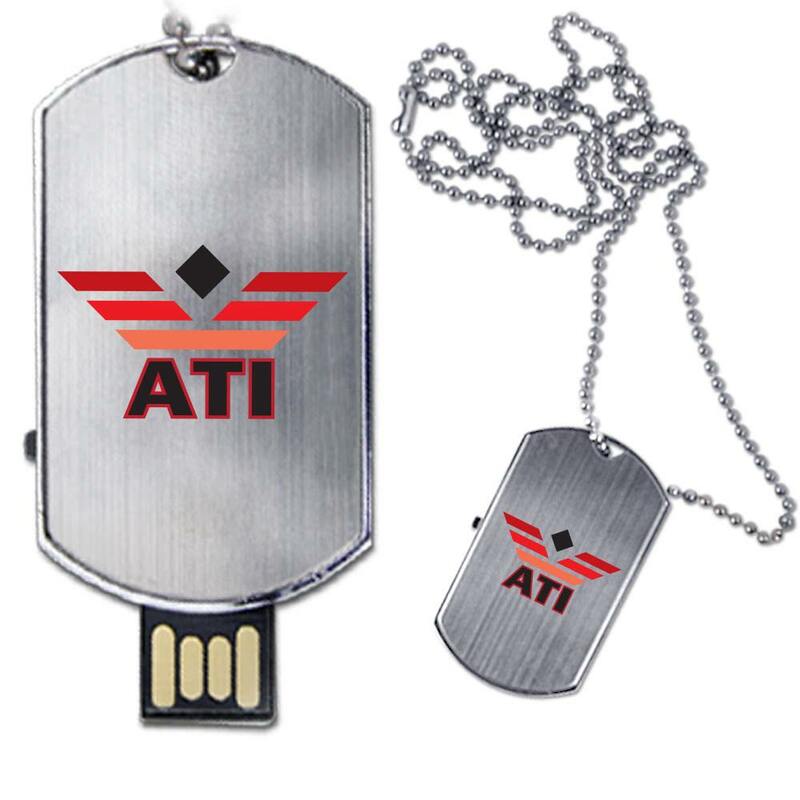 Company logos can be printed or laser engraved on one or both sides of the military dog tag USB flash drives. 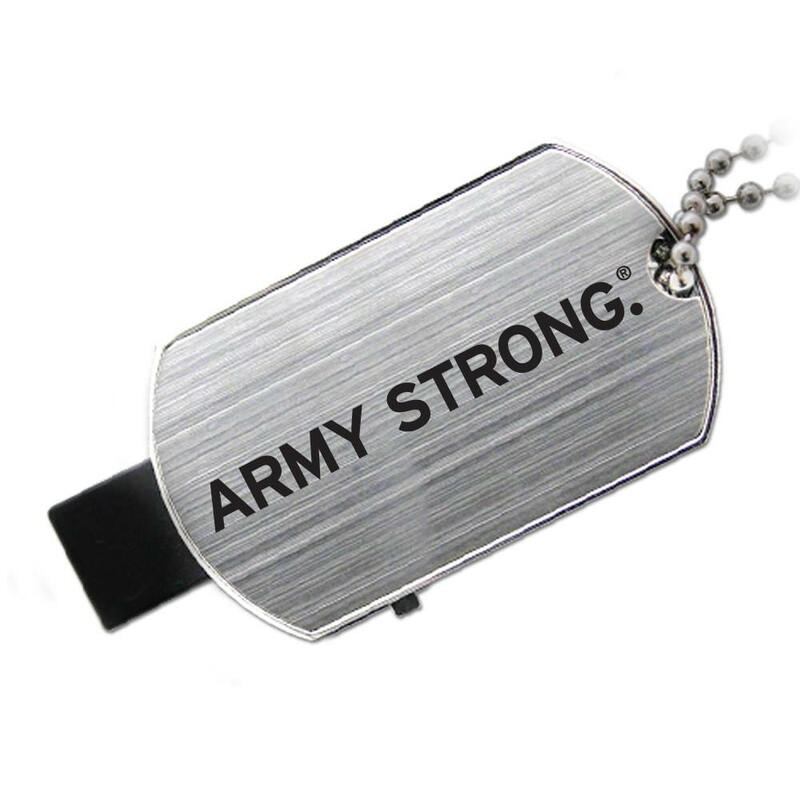 Show your support with custom military printed USB drives. Embrace the rugged, patriotic Military Dog Tag promotional flash drive and watch your sales numbers climb. 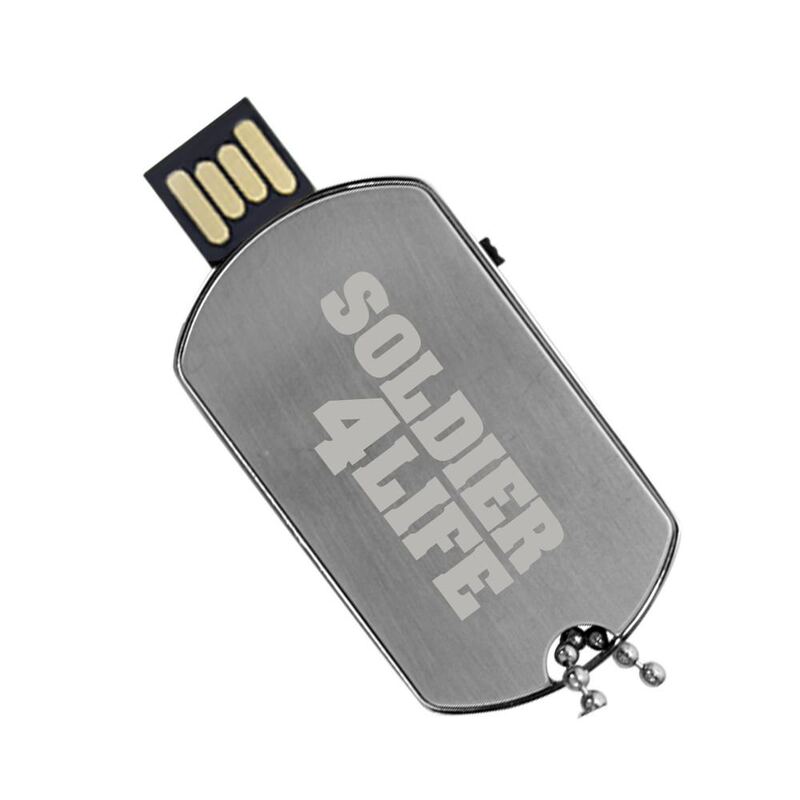 This custom USB drive is perfect for military affiliated companies or companies looking to appeal to that dynamic. 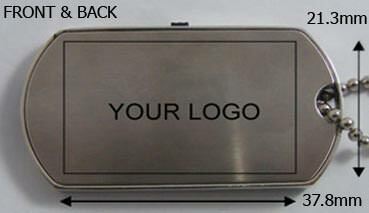 These dog tags are masculine and offer either 4 color printing or laser engraving to emblazon the shiny metallic body. The USB port is easily accessible using a slide mechanism, and the drive body (which is the tag) fits nicely in hand during use. The drive ranges from 512MB to a 32GB data storage capacity, it’s up to you to decide what your clients and customers need.